Another section of Article III — i.e., Section 26 — is titled “POWER AND AUTHORITY OVER INTOXICATING LIQUORS.” This section paved the way for the creation of Idaho’s liquor control system. It’s of more recent origin, having been introduced into the constitution in 1934, 79 years ago and 45 years after the creation of the temperance provision. Hence, while it’s correct to say that Idaho’s constitution contains language mandating the promotion of temperance, it’s incorrect to attach the motivations behind the older temperance provision to Idaho’s post-1934 liquor control system. By the time Section 26 was created, Section 24 was a longstanding constitutional fixture — and a legacy of a bygone era. Idaho’s post-Repeal liquor authority was created in the aftermath of the nation’s failed prohibition experiment. The temperance provision, on the other hand, was created almost a half-century earlier and about a quarter-century before the onset of state and federal alcohol prohibition. So. Although the claim that the Idaho State Liquor Division has a constitutional mandate to promote temperance has some (let’s call it) “literal merit” – because there is a provision in the constitution promoting temperance — yet that claim also harbors something of a rhetorical sleight-of-hand. 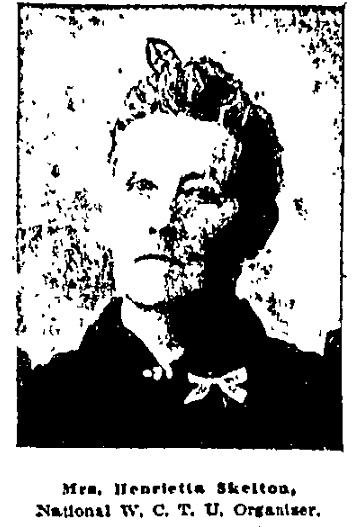 Source: Minneapolis Journal, Oct. 1, 1898, Part II, Page 13. 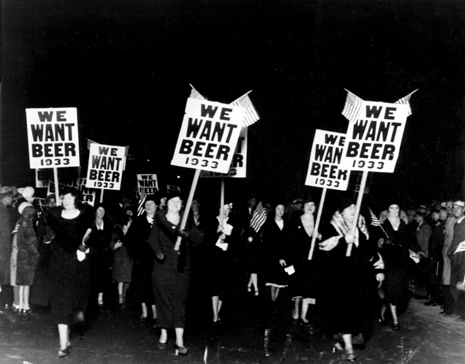 Despite Skelton’s heartfelt plea, however, both her proposals failed – her alcohol prohibition proposal was voted down by the convention and her suffrage proposal died for lack of further attention. Yet Skelton and her WCTU colleagues did not leave the convention entirely empty-handed. 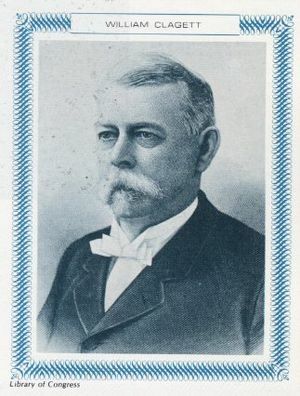 Charles A. Clark, a delegate from Ada County, proposed a substitute resolution, one sympathizing with the Skelton’s sentiments about alcohol but lacking the WCTU proposal’s radical regulatory implications. Clark’s substitute measure ultimately became the language of Article III, Section 24. Whether all, some, or a few delegates were serious, half-serious, or mostly unserious about Clark’s placating substitute measure, it won a “yes” vote in the convention on July 15th, 1889. Toward the convention’s end, discussion turned once again to the question of where the “temperance and morals” measure should be placed. “I think it ought to go to the last part of the constitution,” suggested Mayhew, “as a sort of a prayer.” Of course, it ultimately landed in Article III, governing legislative matters. In the 1890s, the temperance measure was something of a fish out of constitutional water. It had symbolic significance but was effectively toothless with respect to practical or enforcement implications. One wonders whether Henrietta Skelton and her WCTU colleagues would be amused or distressed to discover that the promotion of temperance measure placed into Idaho’s 1889 constitution as a kind of second-prize substitute for her failed prohibition provision is nowadays invoked as the constitutional responsibility of the state government agency tasked with dispensing liquor in Idaho. I hope she’d smile — but I’m guessing she’d groan. Thank you, Ron for this informative and witty piece! A year or two ago I spoke at a meeting of state employees in Ohio, along with other folks, and observed that since 1933 our controls over alcohol have lessened and grown weaker and weaker. State and industry officials said much the same, as I recall.